JSerra Catholic High School has four alumni drafted into Major League Baseball, in the 2013 draft. “Obviously a very exciting day for JSerra Catholic Athletics and the baseball program to see four Lions drafted in the MLB 2013 Player draft,” said JSerra Head Baseball Coach Brett Kay. Recent graduate and 6-foot-4 outfielder, Dane McFarland was selected 360 overall to the Arizona Diamondbacks, giving up his spot to play at Oregon in the fall. McFarland has one of the most enticing power/speed combos among the prep outfielders in the Draft. With his huge frame he combines this with great bat speed to give him plus power. Colton Plaia ’09, was drafted for the second year in a row, this time by the New York Mets as the 446 pick overall from Loyola Marymount University. The catcher who leaves in less than 24 hours, since being drafted for training camp was said to have solid legs and is a durable receiver, with a tough presence and a plus-arm are his best tool. Plaia was also selected to play for the U.S. National team in 2012. Another draftee is right-handed pitcher Reed Reily ’10 of Cal Poly San Luis Obispo was selected 549 overall to the Orioles. Reily can touch the mid 90’s with his fastball and he has a good amount of deception to go along with it. He complements the heater with an 80-84 mph slider and a changeup he’ll throw in the low 80s as well. JSerra’s final draftee is left handed pitcher, Cory Miller ’10 from Pepperdine University was selected as the 482 overall pick to the Brewers. 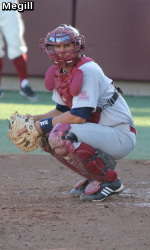 Miller, a three-year varsity letter winner and pitcher for head coach Brett Kay helped lead the Lions to the 2009 Trinity League championship. Miller also received two coaches awards and two of his team’s Cy Young Awards, set the school’s record for most saves in a season with four. “All of them were outstanding young men while in our program and have the desire and work ethic to be able to have that great opportunity to get drafted. It will be great to see those guys don the uniform at the next level and know that they were Lions,” said Kay. 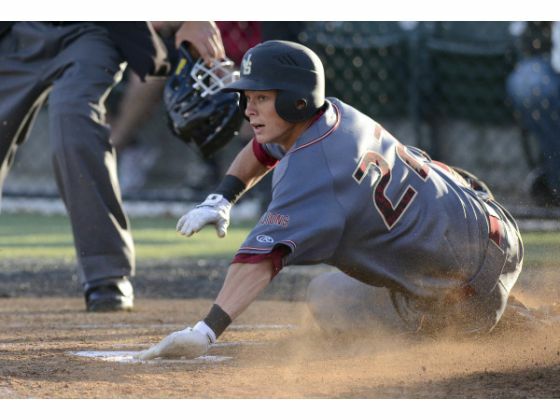 To see more on JSerra’s draft picks click here.